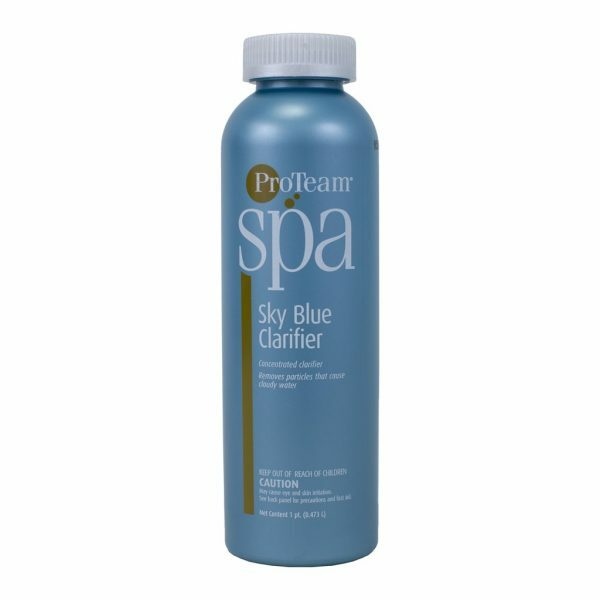 ProTeam Spa Sky Blue Clarifier will quickly eliminate cloudy water conditions by removing waterborne particles. Its liquid formula allows you to add it directly to spa water without needing a shutdown period, and is compatible with all hot tub and spa sanitizing systems. Once added, Spa Sky Blue Clarifier removes the suspended particles by grouping together small particles into large enough ones for the filter to remove, restoring your spa or hot tub water to crystal clarity. Spa Sky Blue Clarifier is made in the USA to ensure quality, allowing you to buy with confidence.